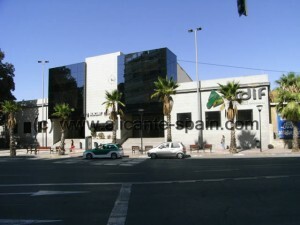 Alicante’s main train station is located directly in the center of the city. All major spanish cities Madrid, Seville, Barcelona have various daily connections. In the future ( planned for 2012 ) a high-speed train connection between Madrid – Valenciaand Alicante train station is planned. Average travel time from Alicante to Madrid 3 hours 30 minutes currently. Alicante train station is run by the state owned Adif ( Administrador de Infraestructuras Ferroviarias) company. The main national railroad company in Spain is RENFE. Alicante Airport does NOT have a train station or stop. In order to get to downtown Alicante’s train station from the airport, you need to take the Alicante airport bus ( C-6 Line). Exit the Bus (C-6 Airport Line) right in front of the Alicante Train Station ( Avenida de Salamanca). Beside the main railroad train station, you will find several streetcar stations throughout the city. A few of the streetcar stations, especially near the city center are located underground, which make locals sometimes proudly talk about the “Alicante Underground”. 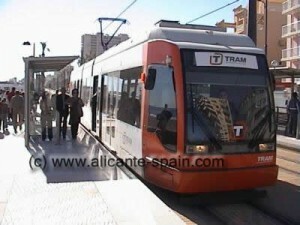 The Alicante Streetcar system is part of the Narrow Gauge Railway System called TRAM (run by the FGV – Ferrocarils de la Generalitat Valenciana) which gets you norths to many cities along the Costa Blanca. Towns like Villajoyosa, Benidorm, El Campello , Calpe, Denia and Altea can be reached easily. 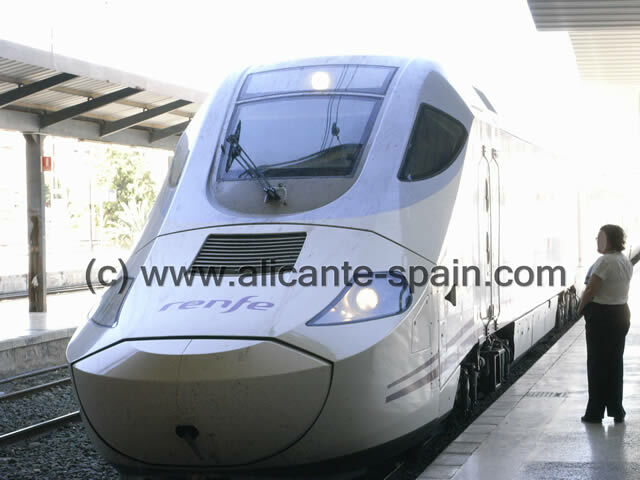 Details (including timetable) on this train can be found in our Benidorm and Denia section. >> Click here for a detailed Map on the TRAM Streetcar Railway System, Stations and Timetables.